Let us mention that several diameters are possible. 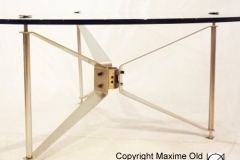 The restraints of an ocean-liner are there: aluminium for lighter weight, increased rigidity to brace that table to the floor in case of bad weather, ….foundry for cost price. The model onboard is here, the central part is much longer than on the design. 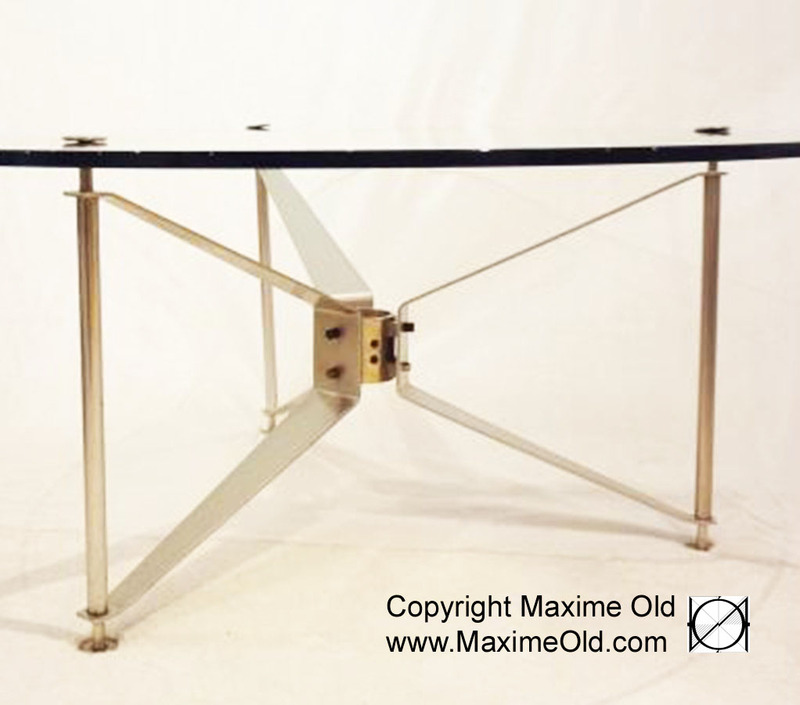 When you know Maxime well, the lengthening of the central part is painful. 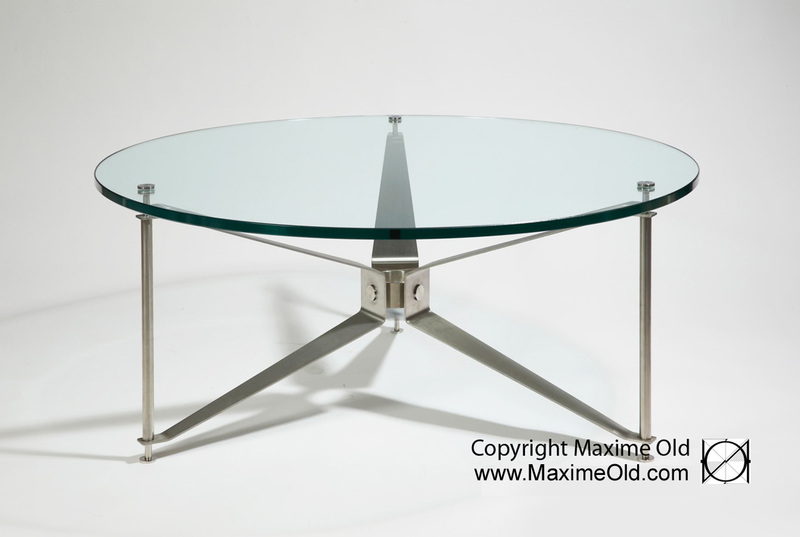 The version offered by the “Paquebt France” collection had to revive the former design, with the materials and the finishing touches specific of Maxime : brushed steel. 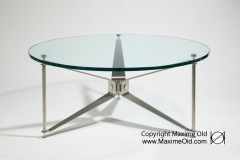 It is the first time, as an exact prototype of that table was never made to be presented, unlike other pieces. 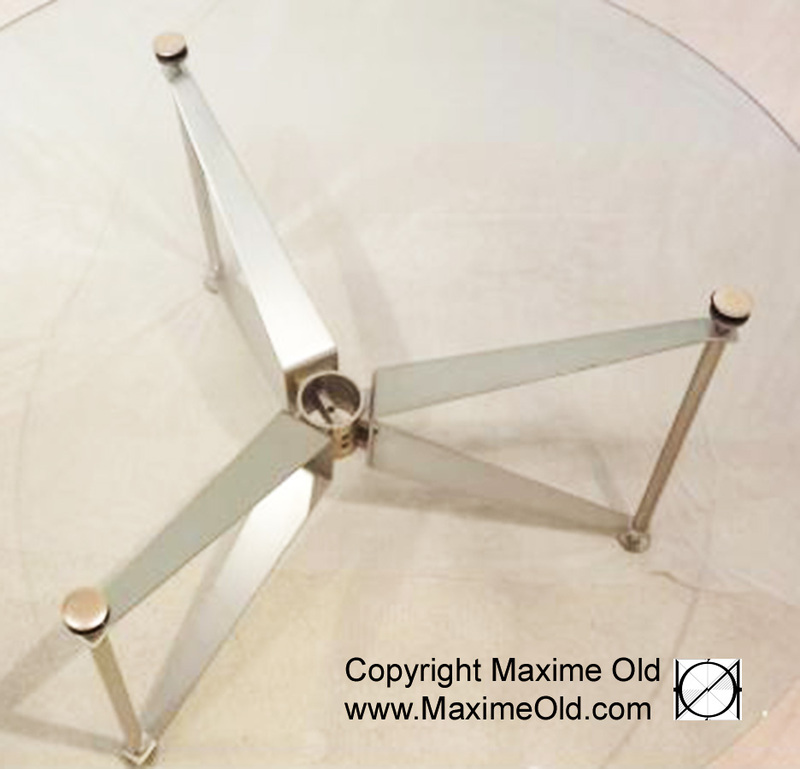 Present customers may choose any diameter planned by Maxime. In that case, to be precise, the design is not that easy to adjust as the “propeller pitch” is then varying. 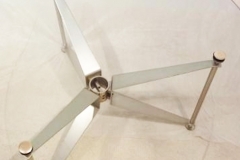 The present Paquebot France Propeller Table is here!